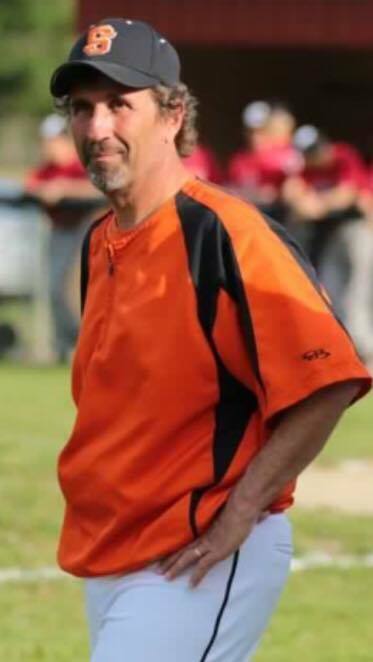 Mr. Chris Rapp was named to the 2019 class of Southeastern Ohio Baseball Coaches Hall of Fame by his fellow coaches. Coach Rapp started as the Junior Varsity Coach for Chris Gibson in 1992. The next year he became the head coach. Chris coached from 1993-2004 and returned in 2009, coaching up to present day. In this span, his team has achieved 334 wins. Coach Rapp has guided his Senators to 9 Sectional Titles, 3 District Championships, 3 District Runner-up, 2 Regional Semi-Finals, 1 Regional Runner-up, 1 Conference Championship, and 4 Conference Runners up. In this time period, eight of Rapp's teams have been ranked in the state poll. In order to be nominated by a fellow coach, coaches must receive 150 points from categories such as, wins, Sectional, District, Regional, and State tournament appearances and being named District Coach of the Year. Chris says, "It is an honor to be inducted into the Hall of Fame but it wouldn't be possible without the fine players I have coached and great assistant coaches that have worked by his side. This honor is just as much theirs as mine. I have been so fortunate to be able to coach at Portsmouth West." Chris will be inducted on June 3rd at the Veteran's Stadium before the Southeastern District All Star Game.